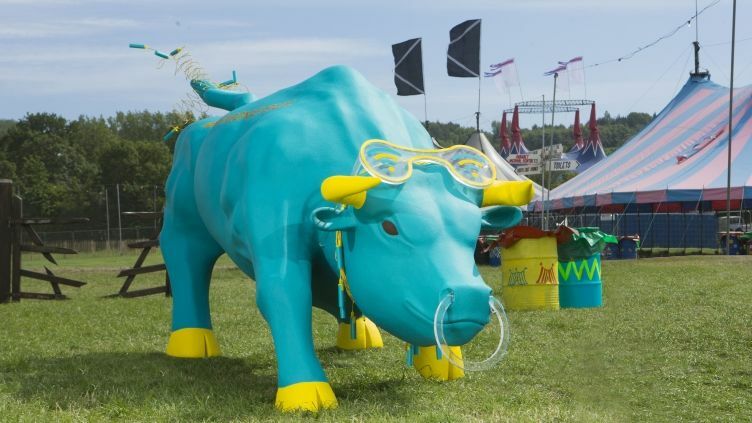 It's not always recommended when in a field in the countryside to plug anything into a free orifice of a bull, but that's exactly what EE is suggesting that festival goers do at Glastonbury 2015. Of course, this is no ordinary bull, but instead a giant 4GEE Charging Bull, a huge statute that was apparently inspired by the late 'Field Marshall', who once held the title of 'Britain's Biggest Bull'. What does this have to do with charging or Glastonbury? Well apart from the terrible pun, not much, but 'Field Marshall' used to stomp around a field in Somerset that's not too far from the world famous music festival. So, if you're staggering through Worthy Farm this weekend in a cider-enfused haze and discover that your smartphone is running out of battery, keep an eye out for the Charging Bull, which you can insert your phone or EE Power Bar into for a quick power up. Just make sure it's the right bull before you go plugging anything in. Samsung Galaxy Fold and Huawei Mate X just officially got a new rival, the "Motorola Razr"